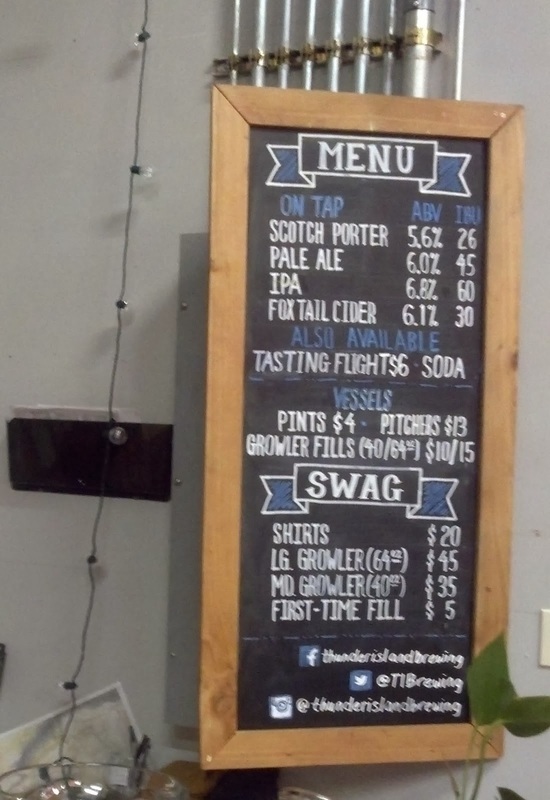 Thunder Island Brewing Company recently opened their doors in the city of Cascade Locks. The brewery is located in an old port building in picturesque Marine Park. There are a number of large picnic tables outside, with an unobstructed view of the Columbia River, the Cascade Locks, the Bridge of the Gods, and Washington State on the opposite bank. To me, Thunder Island Brewing Company represents what craft brewing is all about: People with a passion for fine beer, learning the craft and then sharing the awesome results with their neighbors. It's fun and exciting to see these folks getting their brewery off the ground and their doors open.